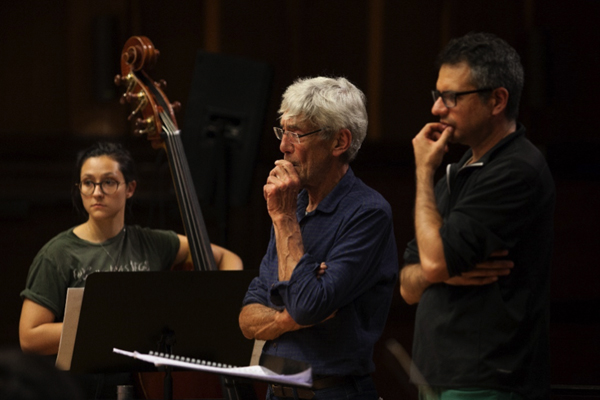 Following the try-outs in April and further rehearsals this summer in Frankfurt, we reconvened in Frankfurt on September 4 for the final rehearsals before the results of the work were presented at the Gaudeamus Muziekweek in Utrecht on September 8, featuring the world premieres of the new pieces. Over the other stops of the tour 2018 the ULYSSES Ensemble had grown – the process of ensemble-building the ULYSSES Ensemble had undergone by that time was obvious! The rehearsals were very efficient and definitely at high level! Lucas Vis conducted the pieces by Laskowski and Hillborg, Lautaro Mura Fuentealba the pieces by Lee and Quislant. 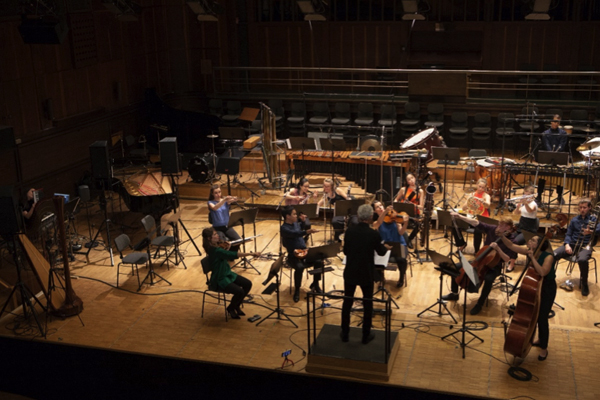 The piece by Laskowski was performed by the ULYSSES Ensemble alone and requested scenic actions like freezing moments while playing/performing. "I really like to work in this more theatrical, performative way. I really like when things are happening during the rehearsals. I believe in this process of experimentation and human interaction in this process." On September 7, 2018, a big group of over 30 people travelled by train to Utrecht, facing major problems with the Deutsche Bahn – but finally arrived! 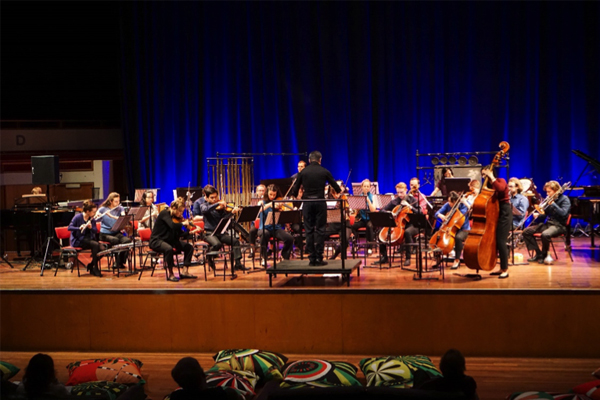 Under perfect conditions at Tivoli Vredenburg and thanks to the highly professional staff auf Gaudeamus Muziekweek the concert took place September 8. 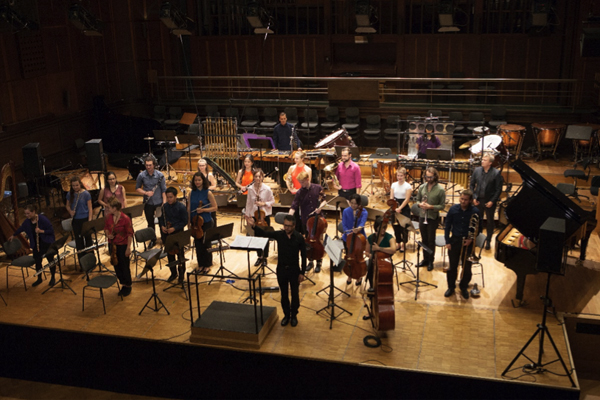 The rerun concert took place September 10 at the Hochschule für Musik und Darstellende Kunst Frankfurt am Main. All participants considered this project as a very valuable experience artistic wise and appreciated the opportunity to perform in this professional and international context.